With just 27 words, the inimitable Ruth Krauss created a charming little universe. 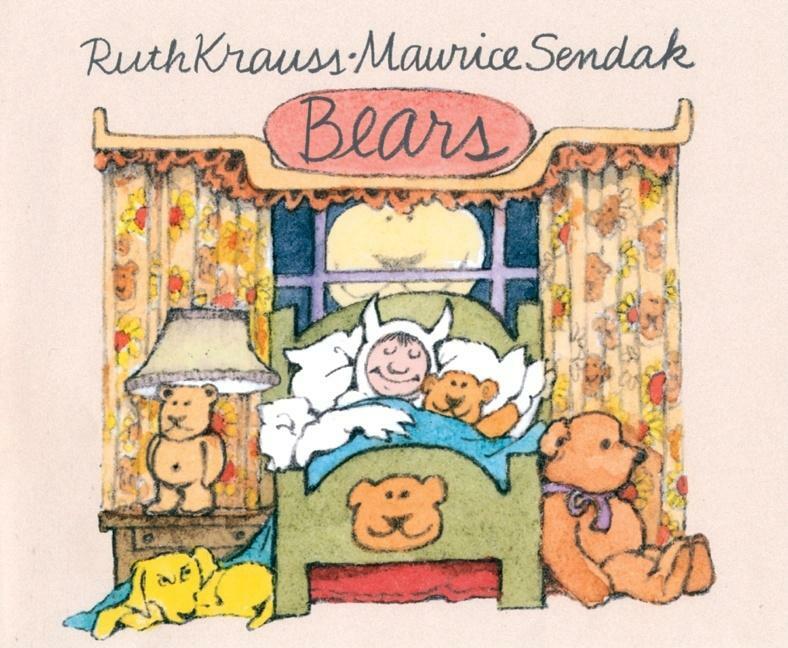 Now Maurice Sendak has turned her bears into a troupe of players in a slapstick comedy starring a familiar boy in a wolf suit. Since the publication of his classic Outside Over There in 1981, Maurice Sendak's book illustrations have focused on interpreting the texts of such authors as James Marshall, Tony Kushner, Wilhelm Grimm, Ruth Krauss, Herman Melville, and Mother Goose. And beginning in 1980, with his sets and costumes for The Magic Flute, Sendak launched a busy second career as the designer of stage productions of opera and ballet. 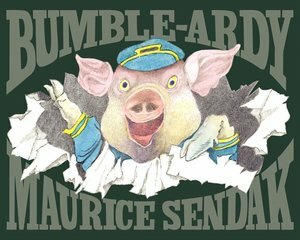 Now comes Bumble-Ardy, the first book he has written as well as illustrated in thirty years. Bumble-Ardy has evolved from an animated segment for Sesame Street to a glorious picture book about a mischievous pig who reaches the age of nine without ever having a birthday party. But all that changes when Bumble-Ardy throws a party for himself and invites all his friends, leading to a wild masquerade that quickly gets out of hand. 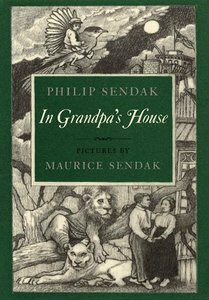 In this highly anticipated picture book, Sendak once again explores the exuberance of young children and the unshakable love between parent (in this case, an aunt) and child. Sale! Was $8.99, now $4.98! On September 28, 1983, the discovery of a previously unknown tale by Wilhelm Grimm was reported on the front page of The New York Times. "After more than 150 years," the Times noted, "Hansel and Gretel, Snow-White, Rumpelstiltskin, and Cinderella will be joined by another Grimm fairy-tale character." The story of dear Mili was preserved in a letter Wilhelm Grimm wrote to a little girl in 1816, a letter that remained in her family's possession for over a century and a half. It tells of a mother who sends her daughter into the forest to save her from a terrible war. The child comes upon the hut of an old man, who gives her shelter, and she repays his kindness by serving him faithfully for what she thinks are three days. Actually, thirty years have passed, but Mili has remained safe, and with the old man's blessing there is still time for a tender reunion with her mother. 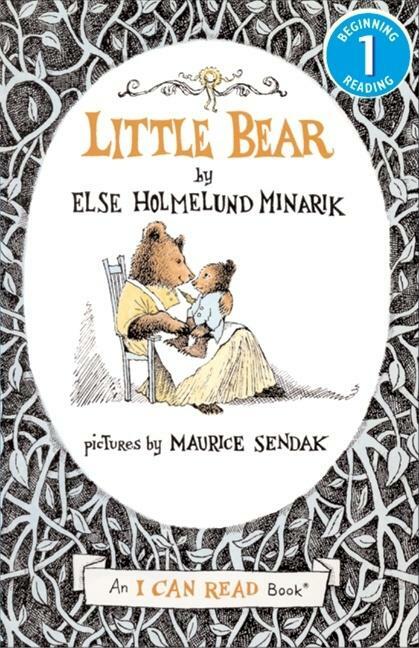 As for the pictures that interpret Dear Mili―hailed by School Library Journal as "gorgeous"―they were a milestone in Maurice Sendak's career, the work of a master at the height of his powers. 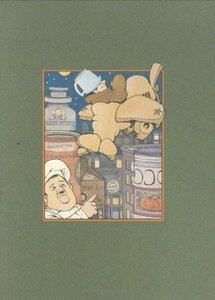 Maurice Sendak has interpreted these old' Mother Goose rhymes in animated sequences that have the aliveness and immediacy of a child's own imaginings.There is little in these verses to suggest the settings, the characterizations, the unforeseen twists and turns of Mr. Sendak's fantastical picture-stories. They extend the boundaries of the short rhymes and add surprising dimension.The many admirers of Where the Wild Things Are and The Nutshell Library will recognize in Hector Protector and the seafarer of As I Went Over the Water the same pugnaciousness, love of mischief, and derring-do that characterize Max and Pierre. 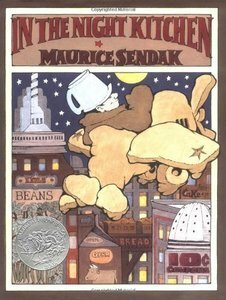 And they will agree that Mr. Sendak has created a true picture book of astounding originality. A Sendak treasure long out of print available for the first time in decades. 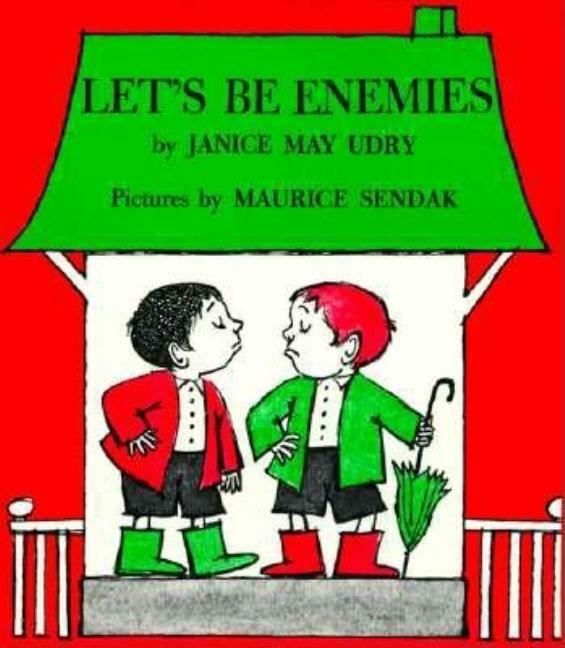 Continuing a two-year program to bring back twenty-two Maurice Sendak treasures long out of print, our second season of publication highlights one of the most successful author-illustrator pairings of all time. 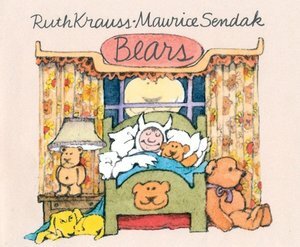 A pioneer of great children's literature, Ruth Krausspublished more than thirty books for children during a career that spanned forty years. 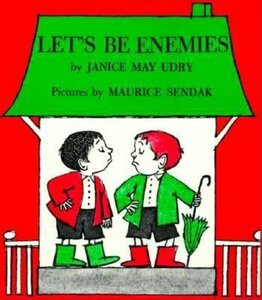 Krauss and Sendak collaborated on eight books, and we are delighted to reintroduce four of these gems in brand-new editions, together with a favorite Maurice Sendak picture book. Maurice Sendak illustrates his father's words. In the Night Kitchen is the classic story of Mickey's adventures in the bakers' kitchen as they prepare our morning cake. "Milk in the batter! Milk in the batter! We bake cake and nothing's the matter!" the bakers sing. James and John are best friends - or at least they used to be. They shared pretzels, umbrellas, and even chicken pox. Now James always wants to be boss, and John doesn't want to be friends anymore. But when he goes to James' house to tell him so, something unexpected happens. Little Bear likes to visit Grandmother and Grandfather Bear. He likes to try on Grandfather's hat. He likes Grandmother's cooking, too. But best of all, he loves the stories his grandparents tell him, of robins and goblins, and of Mother Bear when she was little. Gregory Maguire examines Sendak's aesthetic influences from William Blake to Walt Disney, revealing the "conversations" - often unconscious and unspoken - that artists have with one another. A master of literary invention himself, Maguire explores recurring motifs in Sendak's life work - from monsters to mayhem - as well as his profound understanding of children, their creativity, and the breadth of emotions with which they encounter the world. Making Mischief is a gift of the imagination to Maurice Sendak, one of the master mythmakers of our time. 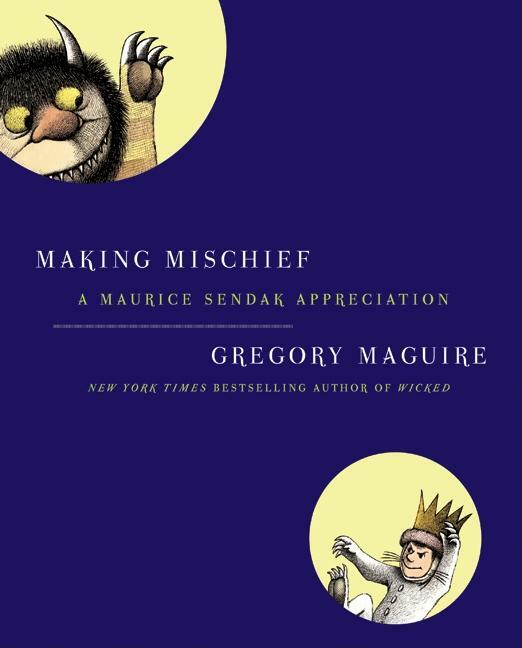 With the same adroit scrutiny that enabled him to recognize a heroine in the Wicked Witch of the West, Gregory Maguire, New York Times bestselling author of Wicked, reconsiders the oeuvre of the incomparable Maurice Sendak (Where the Wild Things Are). 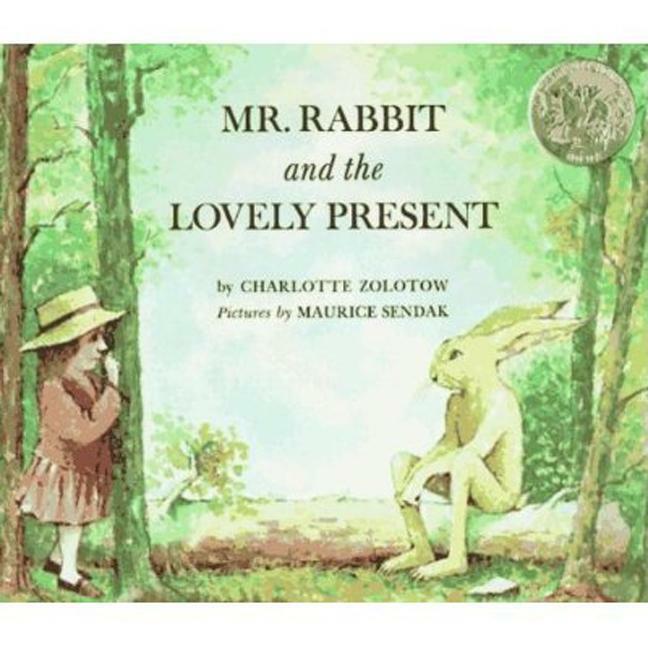 Making Mischief pays tribute to the visionary author and illustrator, his profound understanding of children, and his stunningly imaginative and groundbreaking work that carried the picture book so much higher and farther than it had ever flown. A beautifully designed, endlessly fascinating volume, Making Mischief is one master mythmaker's heartfelt appreciation of another. From the exhibition The Art of Maurice Sendak: Inside and Out, November 22, 2002 - January 12, 2003. 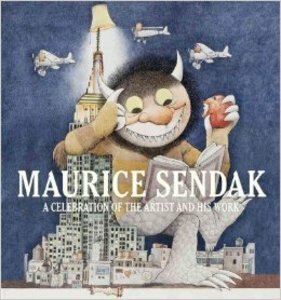 Includes: "A Conversation with Maurice Sendak" conducted by Leonard S. Marcus. 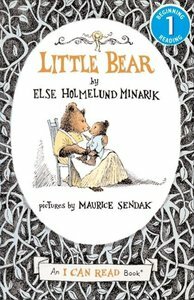 "It is fitting that the work of Maurice Sendak comprises the inaugural exhibit of The Eric Carle Museum of Picture Book Art. 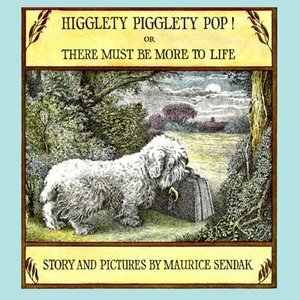 While an acknowledged master of the genre, his creative talent extends well beyond the picture book. Sendak has garnered high esteem in the realm of costume and set design for opera...As we honor picture book art and demonstrate its substance and sophistication, Sendak's industrious career permits us to look at the material from a broad art-historical vantage point. We have chosen to view his work through the lens of interior scenes and landscapes." "The Art of Maurice Sendak: Inside and Out"; November 22, 2002-January 12, 2003. "Introduction," by H. Nichols B. Clark. 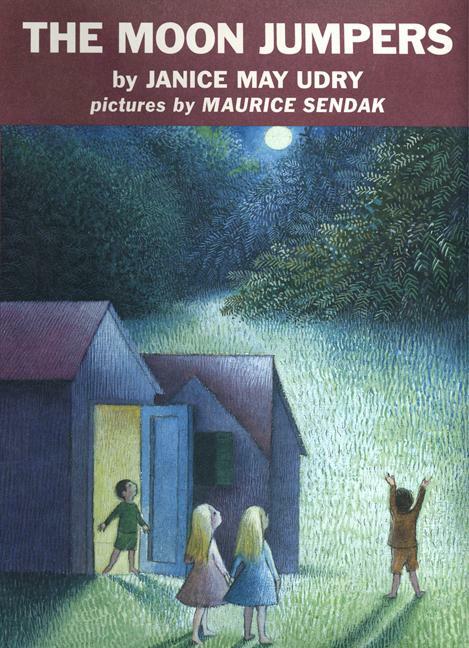 "A Conversation with Maurice Sendak", conducted by Leonard S. Marcus. Catalog Design by Rita Marshall, 28 Illustrations: Inside Scenes, Outside Scenes. Paper, 32 pp, 8 ¾" x 8 ½", 2,500 Copies, First Edition, First Impression. From "Introduction," by H. Nichols B. Clark: "It is fitting that the work of Maurice Sendak comprises the inaugural exhibit of The Eric Carle Museum of Picture Book Art. 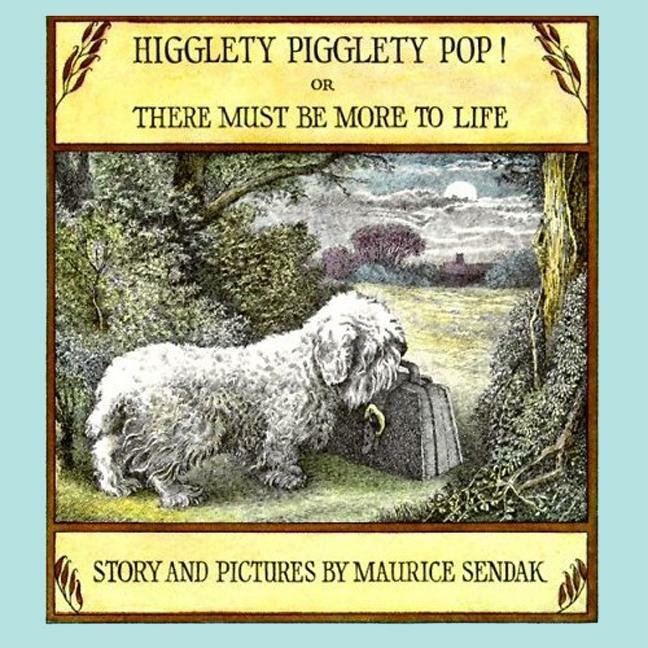 While an acknowledged master of the genre, his creative talent extends well beyond the picture book. 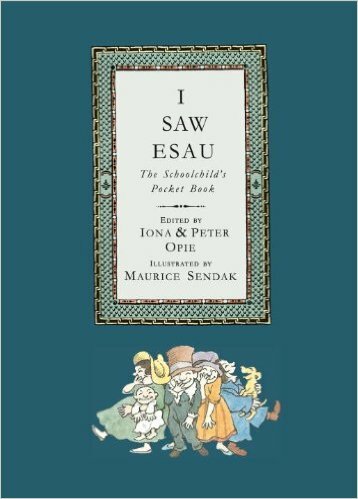 Sendak has garnered high esteem in the realm of costume and set design for opera….As we honor picture book art and demonstrate its substance and sophistication, Sendak's industrious career permits us to look at the material from a broad art-historical vantage point. We have chosen to view his work through the lens of interior scenes and landscapes." Mr. Rabbit helps a little girl find a lovely present for her mother, who is especially fond of red, yellow, green, and blue.